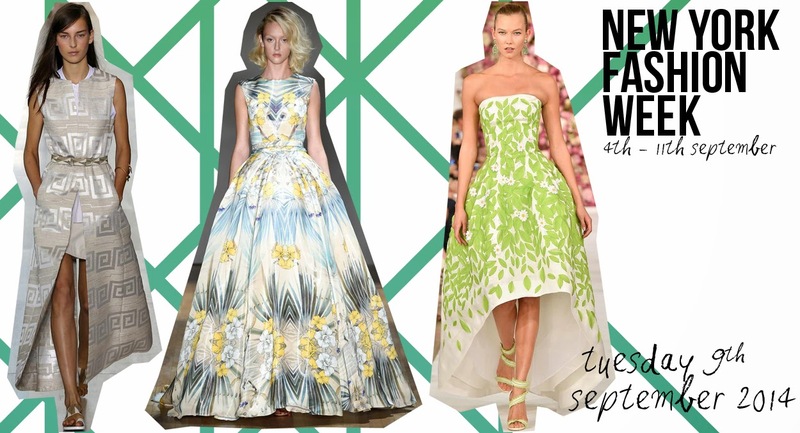 Florals, graphic prints and patterns made these three designers my highlights from this Tuesday of New York Fashion Week. Jenny Packham styled her pieces with a gorgeous almost 60/70's inspired full bouncy waves which worked perfectly with the designs. Oscar de la Renta produced a collection as delightful as ever, keeping it up there with some of my favourite designs that show in New York each year. 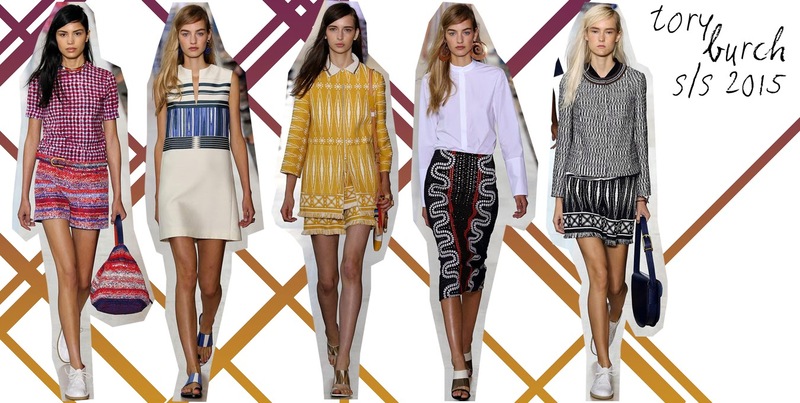 And as for Tory Burch if I could have some of those pieces (especially the yellow outfit pictured below) in my wardrobe right now I would be a very happy person. If somebody could also makes the multicolored shorts (shown far left) into a pair for running, then I am completely sold. These collections were my definite favourites of the day and I would highly recommend checking each of them out in full. The hair and make up from Jenny Packham is now something I really want to wear day in day out. Can I just have that bouncy curly hair please?